We should be particular about food habits as it is important to eat well during the scorching days of summer, when the high humidity can leave you feeling drained, dehydrated and lacking in energy. From authentic Chinese cuisine to recuperative soups and fresh seafood, Incheon is a city that always stimulates the appetite and palette with its range of delicious and nutritious food options. Some of the most famous dishes can be found in Chinatown, which is heavily populated with famous restaurants adorned with red lanterns and traditional nibbles. One of the most popular eateries here, Siprihayng, offers four types of traditional dumplings from Tibet that are a top draw with tourists. 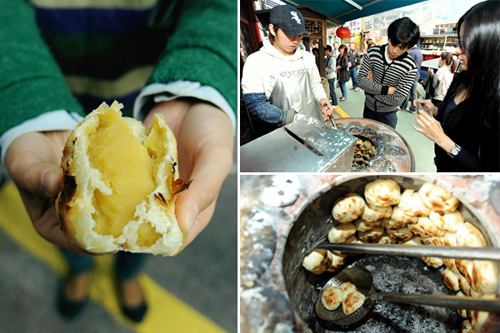 Called Onggibyeong, they are made using crisp dough and especially soft fillings. Demand is such that purchases are limited at weekends to two per person. On the same street, Mandabok serves up jajangmyeon, or black-bean-sauce noodles, just as it used to be made 100 years ago. Although Koreans prefer to consume it nowadays by mixing the noodles with chunjang, or black bean sauce made with meat and various vegetables, here the noodles are served only with meat that is stir-fried with black bean paste. The lack of vegetables and seasonings hark back to the days when such ingredients were hard to come by. 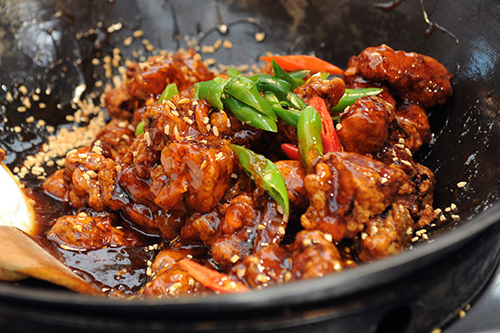 Dakgangjeong, or honey-drenched fried chicken with hot sauce, is the most popular food at the city's Sinpo Market. Chinese sailors developed a taste for it decades ago when it was hard to preserve food, as they found that frying the chicken and coating it with hot sauce stops it from going off so quickly. Upon entering the market, the dish's scent immediately tickles the olfactory glands, tempting passersby with its mouth-watering aroma. The chicken is fried, coated in red sauce and served with chopped peppers and peanuts. Fans rave about the addictive taste of the crispy skin and tender meat. 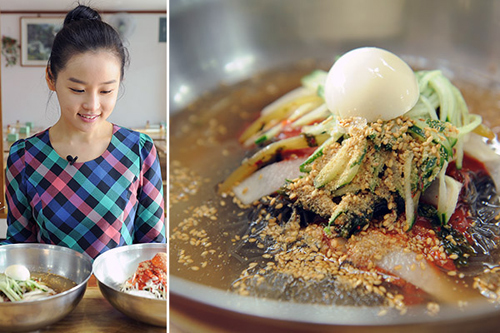 The type of naengmyeon, or cold noodles, served in Hwapyeong-dong is just as famous, especially in summer. It is made by adding vegetables, meat and an egg to chewy noodles, then pouring cold meat stock on top and adding vinegar and mustard sauce. The area is dense with naengmyeon restaurants selling surprisingly generous portions of the dish at shockingly low prices, much to the delight of tourists. In fact, their bowls are three times larger than those used in other noodle restaurants. There are two kinds of cold noodles sold here, each for W5,000 (US$1=W1,113) -- making them W1,500 to W3,000 cheaper than in other areas. 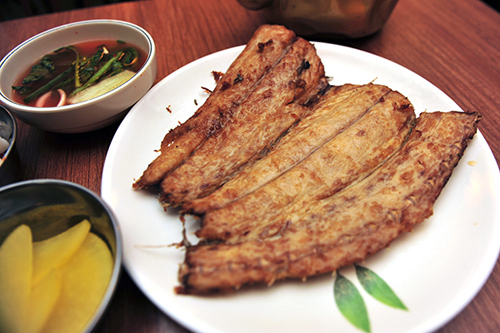 An area in eastern Incheon is a famous den of alleyways full of restaurants selling grilled mackerel. 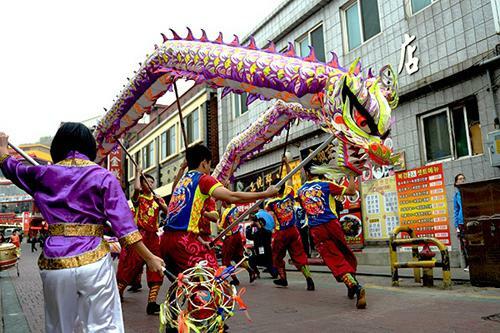 Because the area used to house a brewery, it began to draw laborers and college students with little money who wanted to unwind with alcohol, and mackerel was a perfect accompaniment to drinks because it is cheap but healthy. The most popular dish divides the fish into two parts, each cooked in a different way. As the restaurants use local mackerel, it is smaller than those sold in other restaurants. But it is also softer and more succulent, and goes down a treat with some cold beer and makgeolli, or traditional Korean rice wine.